First, I was exhausted from my return travel, was sick for 4 or 5 days right after getting back, and had to put all writing on hold for a bit to recover. More importantly, I’ve needed more time to process these experiences. I felt like I couldn’t respond as well as I wanted on here, so I put it on hold for that reason too. If you’ve read these posts, you know that my most recent responses haven’t been entirely positive. The culture had me really down in the dumps. It felt hopeless, lost and confusing. I was really caught up in the thought that the kids there were being pushed into Buddhism because it was the cultural norm, and they weren’t given an opportunity to choose their faith (or lack thereof) for themselves. On Thursday – Day 3 – I saw teenagers “worshipping” at Shwedagon Pagoda, adopting a Buddhist way of life. On Friday – Day 4 – I saw little kids playing while their parents were kneeling before a giant Buddha, creating a sad juxtaposition between how much ope there is for kids, yet how little I find for many adults. Saturday and Sunday changed everything. 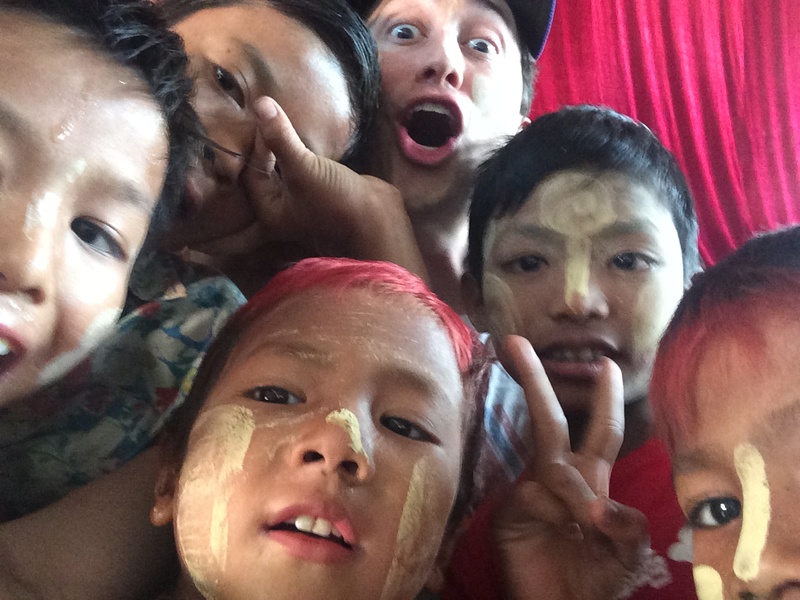 The entire week I was searching for ways where God was at work in Myanmar. In our class debriefs each evening, we would practice Ignatius’s exercise of consolation/disconsolation – where we saw God at work, and where we saw God grieving – and I am excited to share that the areas of consolation were way easier to report on these last two days. Both days were spent at Ywama Baptist Church in Yangon, and I can tell you that hope abounds at YBC. On Saturday we spent an hour playing with street kids. Many children in Yangon are expected to sell things on the streets to help provide for their families. Ywama Baptist Church began an outreach program to these kids, providing them with a place to play, laugh, sing and dance for just an hour or so each weekend. They also provide them with a place to shower and clean up because hygiene is not a priority for these kids. I spent my time with the kids making goofy faces and teaching some dance moves – Gangnam Style is universal apparently. – while they covered my face with makeup and made fun of my inability to break dance. Typical language barrier activities. It’s nothing huge, but it’s a place for kids to connect and feel like they belong. Which is actually a way bigger deal than it sounds. Belonging to something positive is hugely important for kids. Especially for kids growing up in such bummer circumstances. And while Buddhism attempts to transcend suffering through achieving “enlightenment”, the Church enters into suffering as a change agent. It’s hope for the hopeless. They also have a health clinic that provides affordable doctors and dentists to the rest of the public. How incredible is that?! The Church in Myanmar, it turns out, is vibrant and full of life! This was most evident on Sunday morning, when we had the opportunity to worship with hundreds of Burmese people at YBC. I was blown away by the number of people gathered for worship that morning. They had a choir and a orchestra group to play along with them. There was such joy and excitement in that space, and I felt like God was doing significant things both within their church, but for the Yangon community at large. It was a powerful day. And I left Ywama thinking about how powerful a place like that was for a community with so many needs both physical and spiritual. Days 5 and 6 were the best of the pilgrimage. I appreciated the immersion into Buddhist culture, and I’m going to be continually trying to unpack these experiences for years to come, but my greatest moments were the ones full of joy, life and love at Ywama Baptist Church. God is at work in Yangon. Sounds obvious, but it took me a surprisingly long time to notice it. And it was an honor to observe, learn from and participate in his work in my short time there.